We’ve received a lot questions about the relationship between mezcal brands, distilleries, and NOMs since we began listing the NOMs of mezcal bottles on our site. We wanted to publish this quick post as a general overview of what the NOM can tell you and how it’s related to brands, distilleries (traditionally called palenques), and distillers (traditionally called mezcaleros). We admit we could certainly dive deeper, but we hope that this brief post helps to clarify a few things. The NOM is the Official Mexican Standard of Mezcal that is regulated by the Mexican Government. It contains specifications that need to be followed by all individuals and companies producing certified Mezcal. The alphanumeric NOM on every bottle of certified Mezcal is unique to each mezcal entity. You’ll also see a holographic sticker on the bottle that is used for certification purposes. Anytime mezcal is bottled for distribution, a member of COMERCAM must be present at the distillery or bottling facility. Their job is to certify that the mezcal was produced in a fashion that meets the government requirements for what can legally be called mezcal. At the most basic level, the NOM represents the bottling location of the entity/company under which the mezcal is certified. It’s not necessarily where it is produced. In many cases, the location of production and the location of the bottling certification is the same, but that’s not always the case. For example, if you look at any bottle of Alipus, you’ll see they all have NOM-O14X, even though each different Alipus release is produced in different palenques in different towns. This is because they are all bottled and certified under the NOM of the Los Danzantes Distillery, which has the NOM of O14X. There are other mezcal brands that share the same NOM, which is because they are also certified under this parent company. The combination of letters and numbers in the NOM will tell you the state, and the number in which that particular parent company was certified. NOM-O14X begins with an “O” and ends with an “X,” because it’s from Oaxaca. All mezcal certified in Oaxaca is NOM-O__X. Michoacan is NOM-M__C. Durango is NOM-D__G, etc…. You might also see a few brands with NOM-F__D, like Reyes y Cobardes, Cat Mezcal, and some Derrumbes. 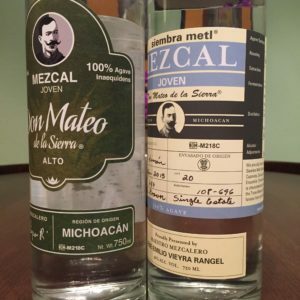 These mezcals are made in various mezcal-producing states, but certified under companies registered outside of states that legally produce mezcal. In the end, it’s all mezcal, but the laws make things quite complicated. The “DF” portion of the NOM stands for Distrito Federal (DF), which is to Mexico City what the District of Columbia is to Washington, DC. Getting a NOM is a long and difficult government process. The first NOM ever registered is NOM-O01X, which you’ll see on bottles of Ilegal, Los Amantes, Mezcal Maria, and others. These different brands all share NOM-O01X because they’re certified under the same company. The first NOM awarded in the state of Michoacan is NOM-M218C, which you’ll see on bottles of Don Mateo and Siembra Metl. How do mezcal brands work with producers? There can be several different types of relationships that exist between brands and producers, and each type of relationship has it’s own pros and cons. Different brands and different producers treat their unique agreements in different ways. For the purposes of this post, we’ll try to distill this down to two main types of relationships that exist: Producer Brands and Curated Brands. Some brands are owned (or partially owned) by the mezcalero, who typically owns his palenque where he produces the brand’s mezcal. Examples of this type of relationship are Real Minero, Rey Campero, Vago, Wahaka, Tosba, and Don Mateo. In this model, a brand like Real Minero produces their own mezcal, they bottle it at their own facility, and certify it with their own NOM. All of Real Minero mezcals are made by same mezcalero, Edgar Angeles (older bottles from his father, Don Lorenzo), and they all have NOM-O37X. Other brands are a collection of different producers. These producers typically live in different regions of Mexico, and produce their mezcal at their own respective palenques. 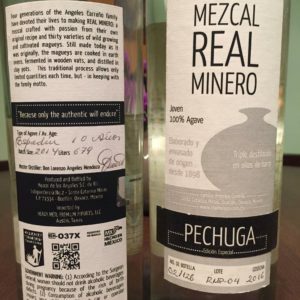 The owners of the brands purchase different batches of mezcal from each producer, which are then bottled under the brand’s label and typically their NOM. Examples of this type of relationship are Del Maguey, Siete Misterios, Pierde Almas, and Alipus. In this model, the mezcaleros usually own their own palenques, and they can pick and choose which brands they want to market their mezcal for them. Some mezcaleros sell to many different brands (see Don Valente Angel or Alberto Ortiz). 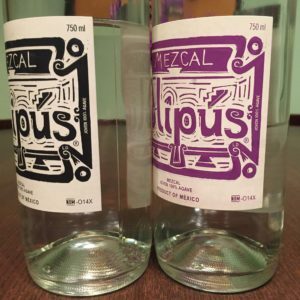 In this model, a brand like Alipus purchases mezcal made at different palenques, and they bottle and certify it under NOM-O14X. The relationship between brands and NOMs seems to vary as well. Brands like Ilegal and Los Amantes are produced at the same location and they both have NOM-O01X. Brands like Alipus and Los Nahuales are produced in different regions of Oaxaca, but they both use NOM-O14X. Brands like Derrumbes have different NOMs on different releases. It gets even more complex when you add in the element of agave. 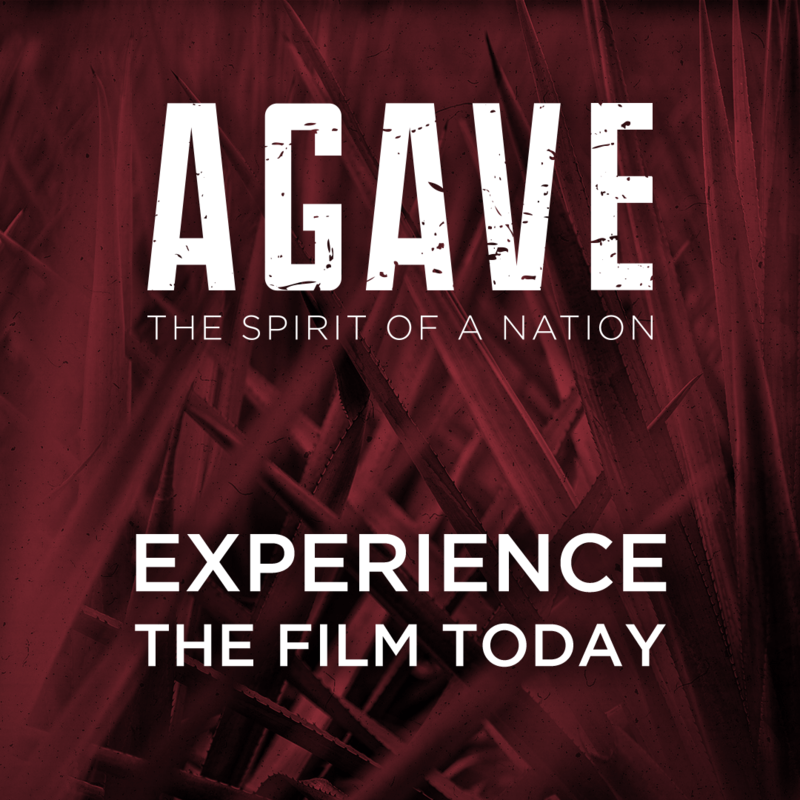 Where does the agave come from? 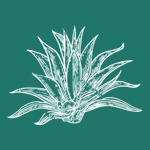 Does the mezcalero grow their own agave? Is the agave purchased from the same region? Is it sustainably harvested? It’s a lot to take in, but we hope that this helps to clarify some of the confusion that people have expressed about the NOMs on our site. How many mezcal brands are there? Lots! There are many brands in Mexico which are not exported and others established solely to be exported and sold outside of Mexico. So depending on where you live and travel you will be exposed to different brands. We currently have about 100 brands on the site but there are many more. Well done. Excellent article and thanks for the education.